Very Sad News! Why is it such beautiful and talented people are pushed to the point of suicide. 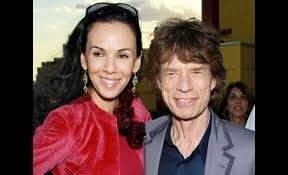 L'wren lived in a magical world as a fashion designer and Mick Jagger's girl friend! She dressed red carpet actresses and her clothes were designed and made with flawless details. Yet financially the struggle was too great! If only she knew how much people really cared about her and reached out. L'wren Scott's clothes are sold at Bergdorf's , Neiman Marcus , Barneys. She also teamed with Banana Republic (seen below) She was a exquisite fashion artist much too young to leave this world.